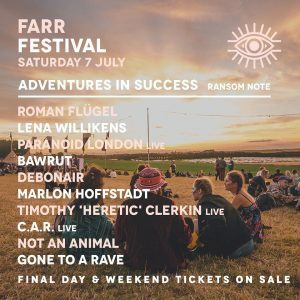 Ransom Note is hosting a a stage at Farr Festival this weekend. Don’t miss C.A.R. Live and Bawrut DJ set!